The Red Haven Team welcomes you to sit back, relax and enjoy our crew of friendly and experienced servers, bartenders and chefs as we deliver an elegant dining experience in a comfortable laid back atmosphere. Nina Santucci was raised in East Lansing Michigan. While attending college at Villanova University, she worked as a server at a fine dining restaurant where she developed a true passion for fine food, and is also where she met Anthony. 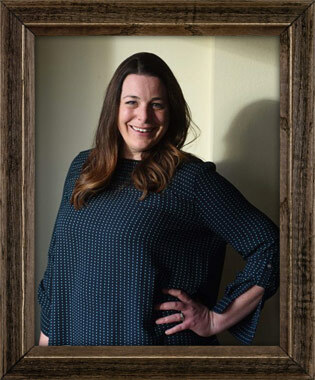 After 10 years working at various restaurants around the country, most recently as General Manager of Philadelphia's Marigold Kitchen, she returned to her home town to help bring the local food movement to the Lansing area. Nina and Anthony live together with their little one in Okemos, Michigan. Anthony Maiale (pronounced may-lee) was born and raised in the Philadelphia area and has spent his culinary career working at top restaurants around the country. Anthony is a graduate of the Pennsylvania Culinary Institute. At a young age he found he had a knack for cooking and a love of fine food, and quickly worked up the culinary ladder. He most recently held the position of Chef de Cuisine at Marigold Kitchen in Philadelphia, Pennsylvania. 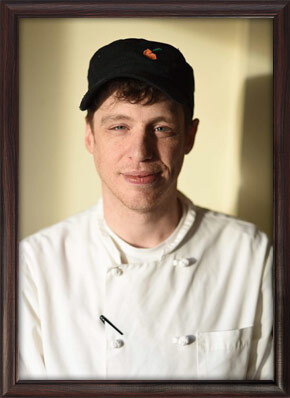 Anthony studied under Chef Michel Richard at Citronelle in Washington, D.C. He has also served as Chef de Cuisine at 333 Belrose in Radnor, Pennsylvania, Hudsons on the Bend in Austin, Texas and the Tabard Inn in Washington, D.C.